Counterclockwise: Mount Ararat, Iron Mountain, and Copper Mountain summits. 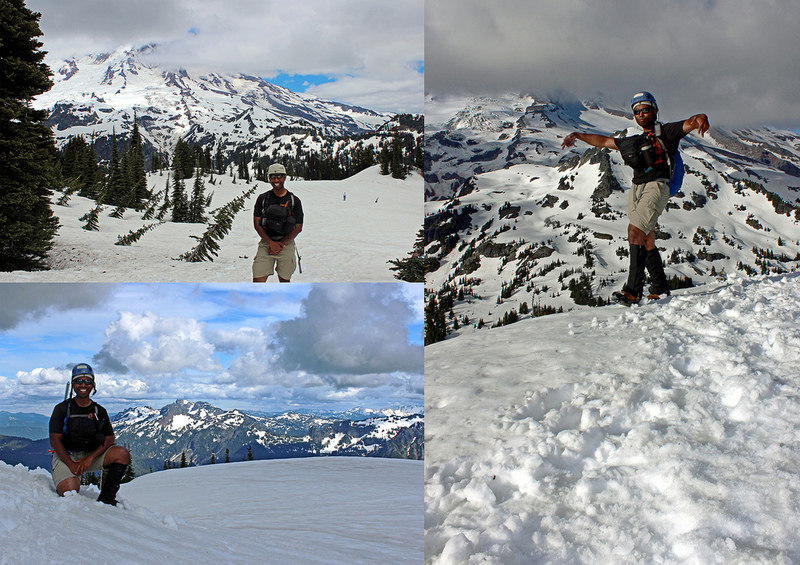 Another outing with some Mountaineers folks bagging some peaks around Mount Rainier. The original plan was to bag five peaks, but we had to settle for three in the end because of the crappy weather on day two. We forwent Pyramid Peak and Satulick Peak since they were farther out. Next time!